President Battulga, while recalling his meeting with Japan’s Prime Minister Shinzo Abe and the Director of JBIC, said that he has talked about consolidating cooperation of Mongolia and Japan for development. “JICA’s releasing of the General Study of Regional Development is the most timely achievement”, noted the President. The study had been conducted for a whole year since Febraury 2015. Two main factors have motivated study, according to the guest. At first, development gap between urban and rural areas have been widening as population gets denser and industrialization concentrates in Ulaanbaatar. Secondly, the pillar of Mongolia’s economy has shifted to mining and, therefore, a study had to be conducted on other economic sectors. Mr. Sato informed that the study suggests Mongolia should be developed as an industrial corridor. 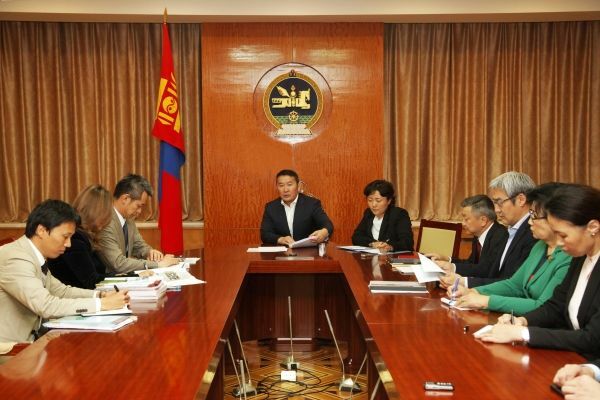 In order to put this into action, said the President, equal attention must be paid by Japanese diplomatic mission to Mongolia, JICA and the Office of the President of Mongolia, and the government and private sector must play their parts, as well. Present were, Chief of Staff of the President’s Office Z.Enkhbold, Vice Chairman of the Office B.Saruul and Director of the Institute of Strategic Studies.